With summer in full swing, you now have the time to take a break from the daily grind and get away on your vacation. 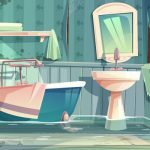 Whether you are finally making that special trip to an exotic location, or if you leave for just the weekend, you should know the proper steps on how to prevent water damage while you are on vacation. 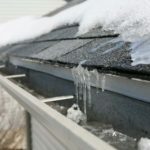 The second most common homeowners’ insurance claim is water damage to houses, and the Insurance Information Institute reports that more than $9,600 is lost on average due to water damage and freezing. Every year, nearly one in 50 insured homes files an insurance claim due to water damage. Don’t let your house become another victim of water damage, so start off by inspecting your home for leaks before you leave for vacation. Check the pipes under the sinks, and look at the hoses that connect appliances like your washing machine. 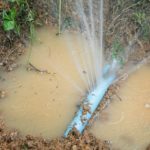 You may also need to be sure that your sump pump is functioning correctly, and install a battery-powered backup source in case the power goes out when you are not home. If you plan on being away for an extended amount of time, have a friend or family member check in on the house periodically. If there is no one to check on your home, then turn off the water. Inclement weather could also lead to water damage in your home, so keep your gutters and downspouts clean and clear of potential blockages. Your windows should be properly sealed, and check on any damaged or dislodged shingles on your roof. 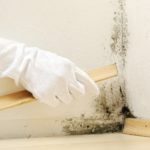 Water damage should not be the only concern for a vacationer. To minimize the risk of electrical fires, you can turn off non-essential circuit breakers, and unplug appliances such as TVs or computers. In West Michigan, Action Restoration is the company to call if your home experiences any water damage while you are away, whether you were on vacation or just on a trip to the store. Located at 2649 Edward Street in Jenison, Action Restoration is your hometown disaster recovery and restoration team. We’re ready 24/7 to Respond, Recover, and Restore.